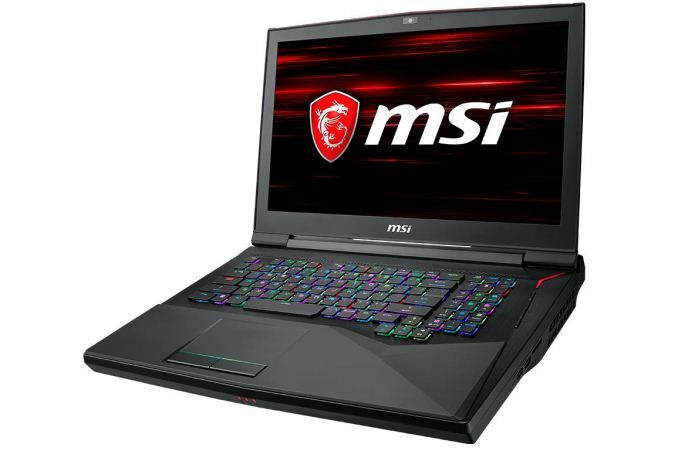 The refreshed G75 Titan gaming laptops are the only MSI series to pack the high-end i9 hexa-core mobility CPUs. 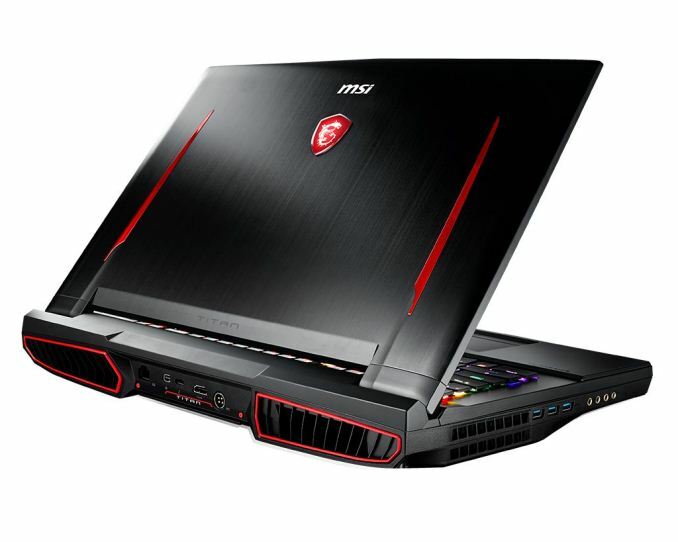 The rather bulky chassis feature large intakes/exhausts and gamers can choose among several configurations that can include the more affordable i7 hexa-core CPUs coupled with 16/32 GB of DDR4-2666 RAM, GTX 1070/1080 GPUs, and a choice between FHD 3 ms TN or 4K 17.3-inch panels. MSI recently revealed that the GT75 will be its first series to integrate the top-of-the-line hexa-core i9-8950HK CPUs. The bulky chassis have not been updated in any way, but this is understandable since the new CPUs are overclockable and require quite an elaborate cooling system that features intake grills on the sides plus some of the largest exhausts out there on the rear. These new Titan DTR models come in several variants adapted for different budgets. First of all, gamers can now choose between the two 17.3-inch display options: the FHD TN panel with 120 Hz refresh rate and 3 ms GTG response time, or the 4K eDP IPS panel with 60 Hz refresh rate. These, in turn, can be handled by either a GTX 1070 8GB GPU, a dual GTX 1070 SLI setup or a GTX 1080 8 GB GDDR5X version. Depending on the budget, the GT75 Titan DTR series offers a choice between the i7-8750H/8850H hexa-core CPUs or the high-end i9-8950HK that can reach 4.8 GHz frequencies in boost mode by default and can be further overclocked. The default RAM capacity is 16 GB DDR4-2666 (single channel), which can be extended to 32 GB (dual channel). As for storage options, gamers can mix and match among a 1 TB 7200 RPM HDD, 256/512 GB SATA3 SSD and up to 2 512 GB NVMe SSDs. All the new GT75 Titan DTR variants are now available, with prices for the i7-8750H models starting at US$2399. The i9 default SKU starts at US$3299, but can go well above US$4000 with all the optional/high-end features.